મિત્રો, સહર્ષ સાથે આપ સૌને કહેતા ગૌરવ થાય છે કે..આપણી સાહિત્ય સરિતાની ડિસેમ્બર 2011 ની બેઠક આપણાં સાહિત્ય પ્રેમી યુગલ શ્રી Mukeshbhai ane Kirtiben Shah ને ત્યાં યોજવામાં આવેલ છે. 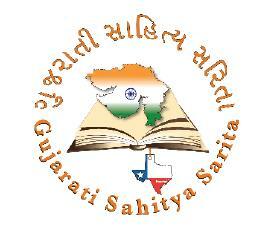 બેઠકની વિગત નીચે મુજબ છે. FYI, Mukeshbhai was a regular columnist in Gujarat samachar and has been attending GSS meetings occasionally. More about him in the bethak. Please let us know if you plan to attend or the host family know to make other arrangments and if you are presenting any item, be sure to let us know.